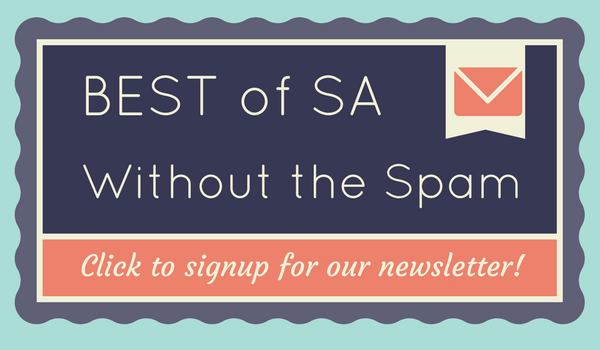 It’s no secret that only exceptional design happens with businesses at the Pearl Brewery. 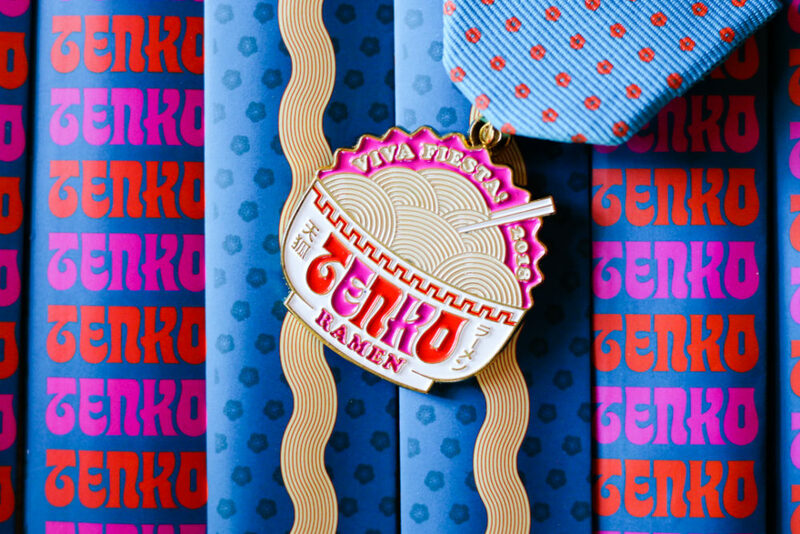 So, I am incredibly proud of the Tenko Ramen Fiesta Medal that I helped make them in collaboration with local artist Jamie Stolarski. Tenko Ramen is the spot to get a bowl of hot ramen noodles in the recently opened Pearl Bottling Company food hall. Jamie created an amazing experience for local restauranteur Jennifer Dobbertin, down to the sleeves that hold the chop sticks. And the food that Jennifer prepares is outstanding—when I dropped off their medals I purchased a bowl of double mushroom ramen topped with slices of crispy fried chicken. 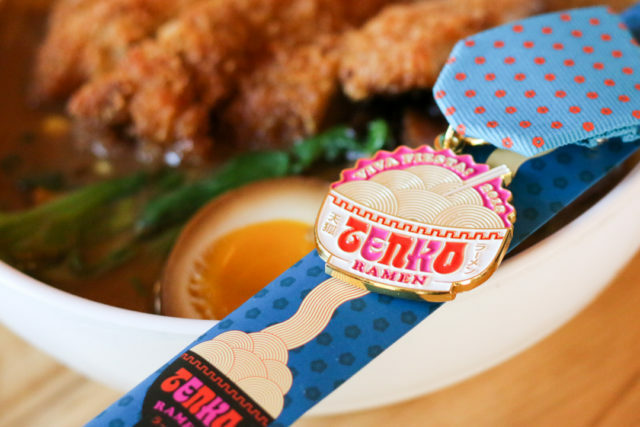 It’s no surprise that the Tenko Ramen Fiesta Medal would be anything other than spectacular. A bowl of curvy noodles is set off with the classic Tenko red and pink colored font and their red polka dotted blue ribbon that ties into the aesthetic of the restaurant. The medal is only $10 and the proceeds will be going to Texas Public Radio, a charity that we at SA Flavor love (our Barrel of Monkeys Fiesta Medal has a $1 from every sale going to TPR as well). The next time that you’re at the Pearl Brewery, be sure to stop by and grab a bowl of ramen and this exceptional Fiesta Medal! And if you’re a business looking to create a Fiesta Medal of your own, please be sure to reach out to info@saflavor.com—we’d love to help bring your ideas to life!